Like Danny Ocean said to Terry Benedict in Oceans Eleven, “there’s always someone watching…” these days cameras are almost a standard part of any security system. There are many different varieties: there are those that allow you to monitor the outside of the house while you are in it; those that monitor remotely; those that are linked to your phone and which are triggered by certain events; one that simply record on a loop. Whatever your specific needs are, a quick online search for something like ‘cctv cameras Melbourne’ should yield the name of enough experts for you to be able to take your pick. Consult and make a plan, and you are golden. These pet-friendly devices are like the old-school alarms except that instead of triggering when a door opens or a window breaks, they trigger when a person approaches the house. They are a great early warning security system, they are designed to detect human and not animals or trees blowing in the wind, and most importantly they are great deterrents. It takes a very brave intruder to go forth on his quest if there are alarms blaring and he hasn’t even entered the house. Many people might think this is overkill, but it is really just a logical step in the security process. It is pointless having an alarm if all it does is make a noise. It actually needs to register with somebody and they need to take action. It works in two ways: firstly, if there is nobody home, the armed response company will come and check things out, and secondly if you are home and in danger they will also come past as fast as possible to help resolve any situation that may arise. Part of staying ahead of criminals is learning to think like them. Criminals will know what areas are vulnerable and what works well from an entry perspective. As such, make sure that your property roof and ceiling spaces are alarmed. This is often seen as an area of vulnerability as most people don’t alarm these areas. The truth is that a few tiles can easily be ripped off and then it is easy to go from there into the ceiling space and down into the house. Your doors and windows might all be alarmed but burglars are good at finding the weak points – make sure you don’t have any. 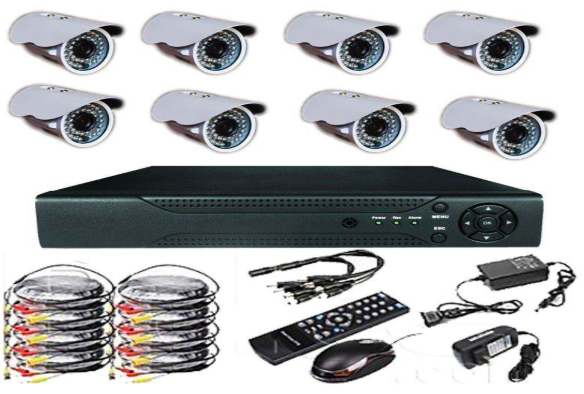 CCTV is the best option for solving security purposes.